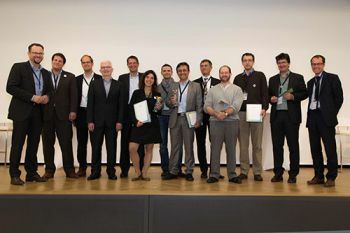 Dr Eduardo Alonso leads the victorious team which carried off the First Prize of the European Institute of Innovation and Technology’s(EIT) ICT Labs Idea Challenge on Smart Energy Systems, held in Berlin on the 31st October. A team led by Dr Eduardo Alonso, (Deputy Head of the Department of Computer Science in the School of Mathematics, Computer Science and Engineering), has won the prestigious First Prize of the European Institute of Innovation and Technology (EIT) ICT Labs Idea Challenge on Smart Energy Systems at the competition's finals, held in Berlin on 31st October. The EIT is an independent European Union agency established in 2008 to spur innovation and entrepreneurship across Europe to overcome some of its greatest challenges. It brings together leading higher education institutions, research labs and companies to form dynamic cross-border partnerships for developing innovative products and services, start new companies and training a new generation of entrepreneurs. 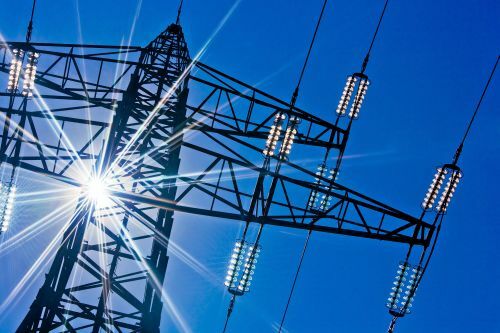 The winning prize of €40k was awarded for the potential of the technology that the team (in collaboration with Abbey College London and the University of Alabama in the United States) has been developing, to apply neural controllers to grid-connected converters. This is expected to have a major impact in meeting national and European renewable energy and climate change targets. "We're very happy and looking forward to working with like-minded venture capitalists. As part of our First Prize, we have been granted membership of the EIT ICT Labs network and we will be collaborating with EIT's London Co-Location Centre based at White City (West London) which is spearheaded by companies and higher educational institutions such as BT, IBM, Imperial College London, the Institute for Sustainability, Intel, University College London, the University of Edinburgh, and Vodafone. This will certainly be instrumental in the commercialization of our technology".